How Koovs kept on changing its business model to become a successful high-street fashion website? Home > Blog > Blog > How Koovs kept on changing its business model to become a successful high-street fashion website? Established in 2010 and headquartered in Gurgaon– Koovs.com is the one-stop online fashion store that is inspired by the universal runways, superstar looks, and on-pattern street style, and offers excellent and uncommon style at very reasonable costs. The e-Tailer makes browsing consistent by offering easy-to-use navigation of pages and products, catwalk recordings, 360-degree item view. Furthermore, its bulletin additionally gives a week by week upgrade of the considerable number of items that have recently been added at their store. Koovs adds more than 150 new products to its inventory each week that includes Indian, International and its own range of clothing and accessories. Other part of the company is that it has also tie-ups with many international designers too to enhance the clothing and designing experience of the people. 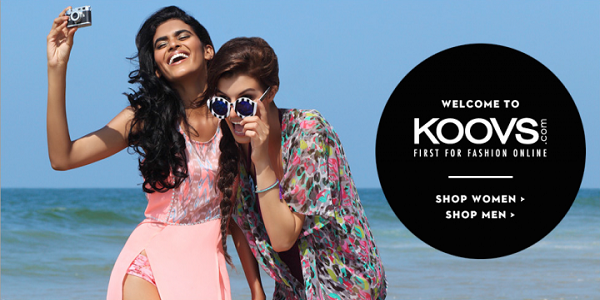 To start with – Koovs is not a marketplace! It is just a fashion store working on an inventory based model. The company has 45 per cent private label inventory while other 55 per cent inventory is from the brands that Koovs showcase on its platform. The company works from its offices in London and Gurgaon all the time to bring the best to its buyers the high street fashion brands. The company brings an exclusive collection of products under the name of “Koovs Collection” every month. The product line on the portal gets updated with 4500 new designs every months and the collection changes every four weeks. Since their launch Koovs has changed its business model many a times. With its current model targeting its audience, it has tied-up with many national and international brands and designers. Changing the marketing strategy time to time has really worked a lot for Koovs and has given them a huge success. At the Business end – Anant Nahata, MD of the company has played a huge and most vital role. Anant roped in Lord Waheed Alli, the chairman of Asos.com, a $3billion British fashion portal as the chairman of Koovs.com and Mary Turner (CEO of AlertMe.com) as the new CEO. At the Marketing end – Marketing has driven the company towards a new way and has shown the path for success. With the continuous use of digital media they are also running their debut multi-media brand campaign “Step into Koovs.com” along with a music video. The campaign makes use of television, cinema billboards, print media, digital media that has helped Koovs increase the sales by a monstrous 210%. When this campaign was launched, nobody thought about this much success of the campaign as it has recorded sales of INR 29.5 crores in just 14 weeks which was merely INR 9.5 crores for the same period in last year. Apart from this, Koovs has witnessed its weekly traffic of more than 1.5 million visitors. It has also increased the brand awareness to 8 per cent which was 1 percent earlier. Showcasing the product collection in major fashion week like Lakme Fashion Week, Wills India Fashion Week, etc. It was the time of 2010 when Koovs was started by Rajesh Kamra, Manish Tewari, Kanishk Shukla and Amit Shukla. 2010 was the year when the e-commerce giants like Snapdeal, Flipkart and Deals&You had not been so popular. Koovs started its business with heavy deals and discounts of 50-90%. Initially they started as a micro marketing platform to offer a digital platform to millions of small businesses like restaurants, clothes sellers etc. This helped the businesses to increase the sales of the businesses over the platform. Being a first mover in the industry, Koovs gained the attraction of the customers and in a little time, it has created user base of more than 5 lakh subscribers. Soon Koovs came in the limelight of the investors and in 2011, BenifitsPLUS, a rewards and loyalty program company invested $2 million for stake in the company. Soon after Koovs changed its working model and moved on as an e-commerce platform from being just a deal site. Post that, 44 per cent stake in Koovs was taken by a company owned by Nahata family. Initial investment of INR 140 crore was contributed by the Nahata family to start the online platform to deal with the sale of mobiles and electronic gadgets. But soon the founders of the company realized that Koovs with just a single segment of electronics is moving towards a dead end and then without losing any moment Anant Nahata took a decision to change its working model. He transformed Koovs in to a high-street fashion portal. It was not possible for Anant alone to make his business a success. So he joined Waheed Ali, Robert Bready and many others from the expert field to his Koovs management team. It was the time since when the company never looked back and till date it is gaining huge success rate. Last year the company appointed Mary Turner as its CEO, and Gaurav Nabh, former Quasar CEO as its Marketing Director. With their terrific marketing strategies and out of the box thinking, the company witnessed a huge growth and its brand awareness reached to 8 per cent from 1 per cent that gradually helped Koovs to double the weekly website traffic to 1.5 million and as a result this Gurgaon-based company clocked in £10 million in gross order value in FY2016. Looking more towards success, the company aims to triple the gross order value to £34 million in the current financial year.